In 2017, the Interlochen Arts Academy Jazz Ensemble celebrated The First Lady of Song in a concert called “A Centennial Birthday Tribute to Ella Fitzgerald.” The Jazz Ensemble was joined for this concert by two special guests, Gary Motley and Carmen Bradford. Join Classical IPR this Friday night at 8 p.m. for a presentation of this recent concert. Gary Motley is a jazz pianist and composer who serves as the Director of Jazz Studies at Emory University. Carmen Bradford has sung with the Count Basie Orchestra, Doc Severinsen and Frank Sinatra. 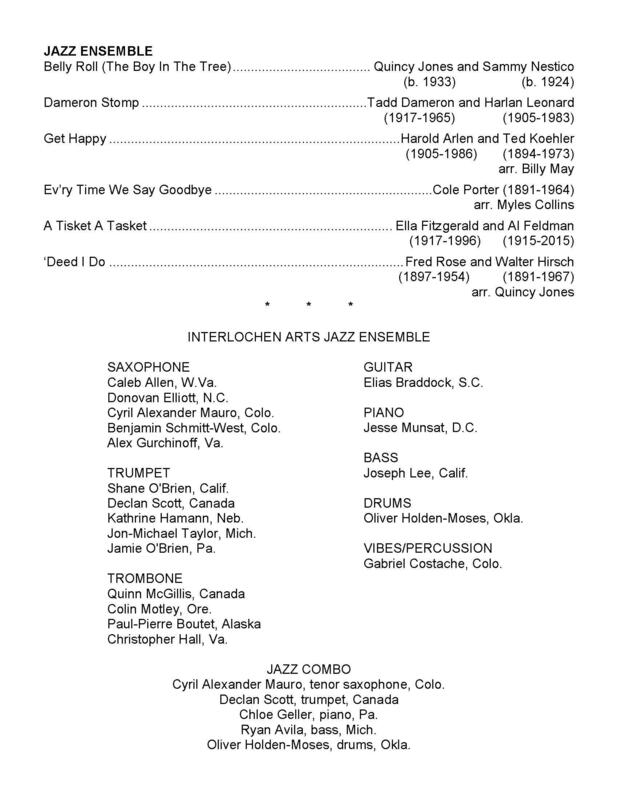 The Interlochen Arts Academy Jazz Ensemble is directed by Bill Sears. The entire concert program is available below. Click each image for a larger view. Interlochen Center for the Arts is grateful to the Ella Fitzgerald Charitable Foundation Board of Directors who have sought to further Ella Fitzgerald's goals at Interlochen Center for the Arts. 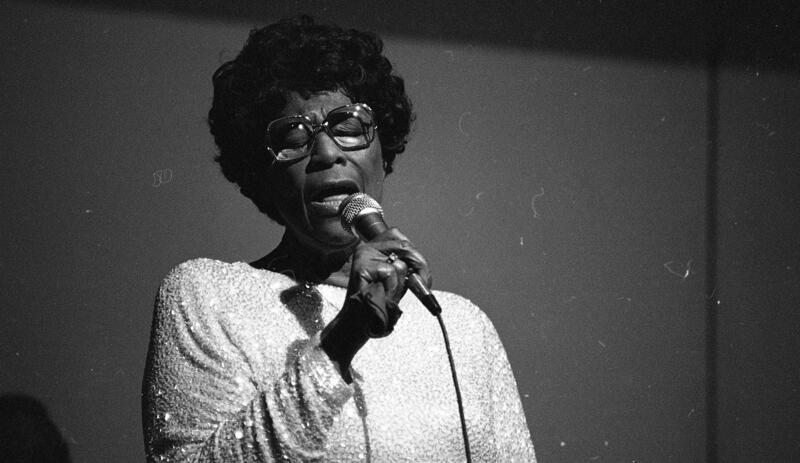 For nearly twenty years, Interlochen has been proud to award the Ella Fitzgerald Charitable Foundation Camp Scholarship and Ella Fitzgerald Charitable Foundation Academy Scholarship, to promising vocal and instrumental jazz music students. 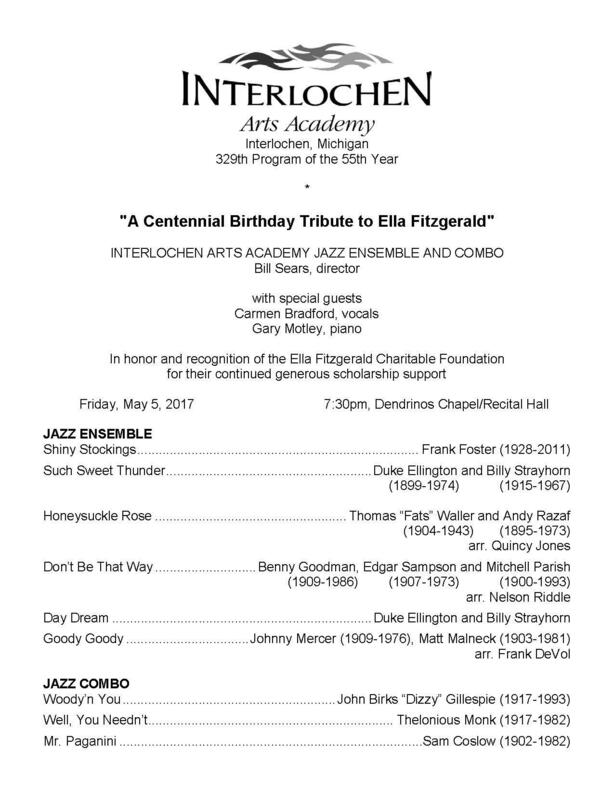 On Friday, May 5 at 7:30 PM, the Interlochen Arts Academy Jazz Ensemble will present “A Tribute to Ella Fitzgerald.” Ella Fitzgerald, also known as “The First Lady of Song,” would have turned 100 last month. 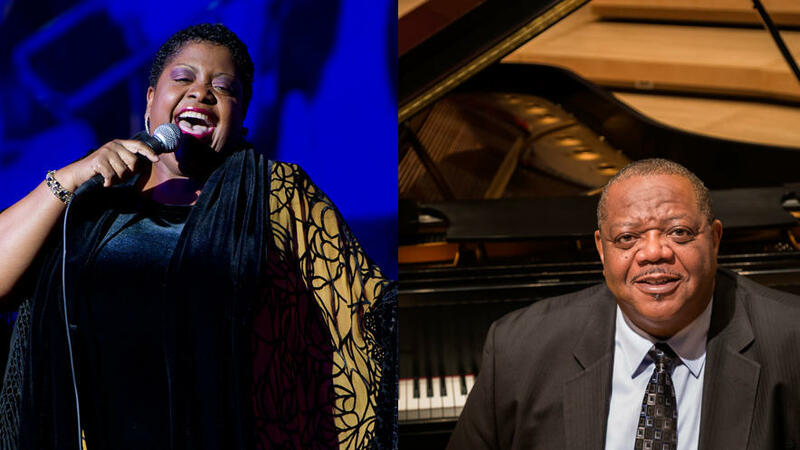 The concert features two guest artists, jazz pianist and composer Gary Motley and singer Carmen Bradford. Motley and Bradford visited IPR’s Studio A to perform some music and to talk about the legacy of Ella Fitzgerald.